A studio in the center of Amsterdam with the perfect atmosphere! The studio, located in the center of Amsterdam near the west side of Vondelpark, is spacious and wonderfully light thanks to the many double-glazed windows. The ventilation system is brand new and provides the studio with a constant stream of fresh air. The dressing room is spacious and comfortable and offers ample seating for students. 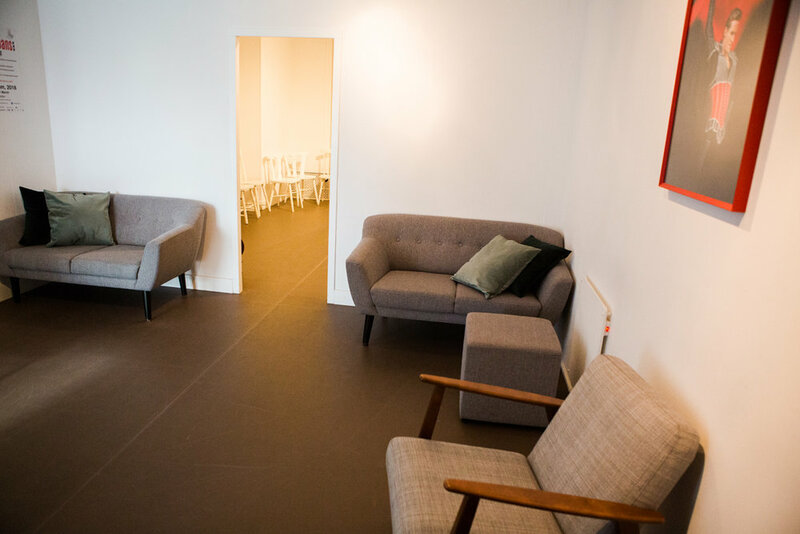 The waiting room is decorated to give a relaxing and homey atmosphere - it is the perfect space to wait or relax, and you can watch the classes through the side window. Our priority is to offer the most advanced and professional equipment available. 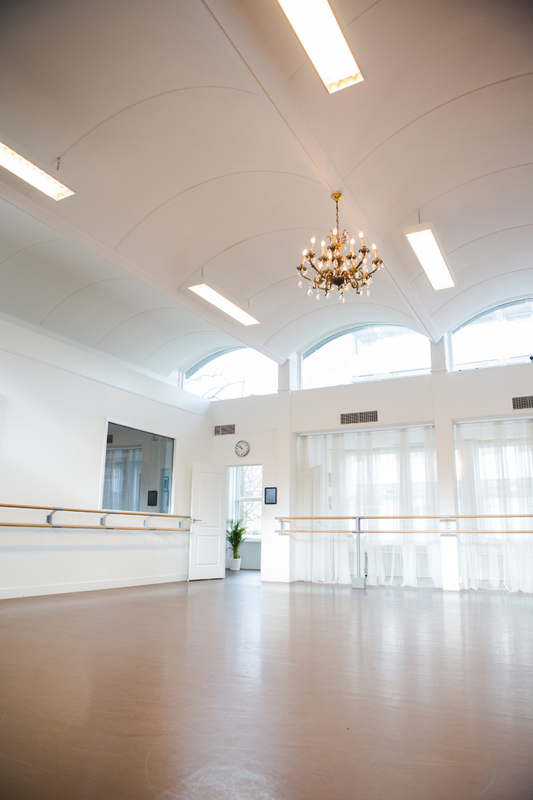 We used the same elements and materials for the construction of our studio as the Bolshoi Theater, the London Royal Ballet and Dutch National Ballet. As a result, the Zhembrovskyy studio has an excellent reputation for its incomparable atmosphere and professional approach. Our venue is now also available for rent! 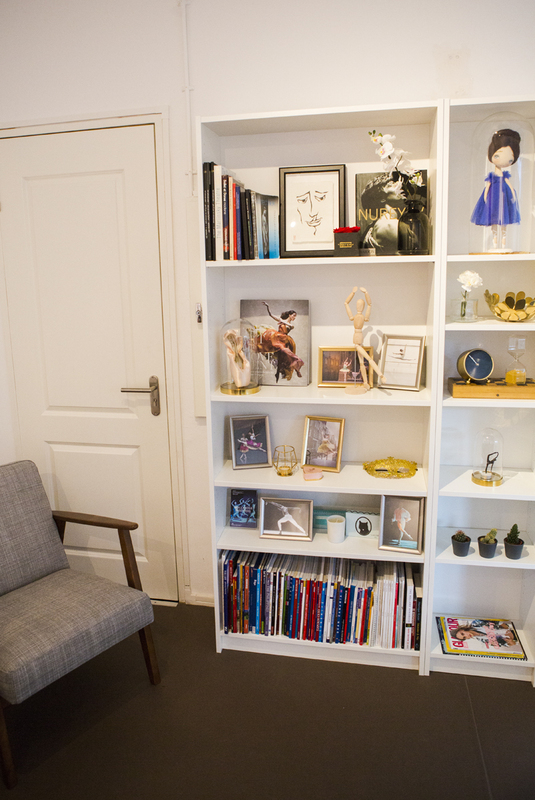 The studio is located in central Amsterdam but in a quiet neighbourhood. There are many shops, cafes and restaurants nearby and there are various options for street parking. Entrance via outdoor concrete stairs on the left side of building 102. Please contact us for prices and availability of the studio.